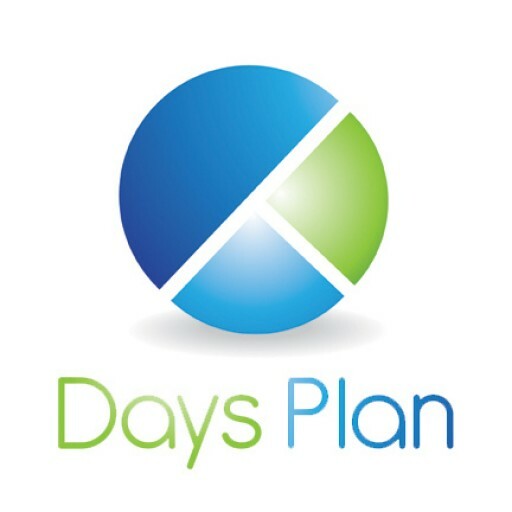 Everything You Need to Know About the Upcoming DOL Regulations - DaysPlan, Inc. If you are like most employers that I encounter, you probably assume this won’t apply to you. This mandate, however, impacts nearly every employer (see the graphic below for more information). This new law was intended to help employees obtain fair pay. I don’t think anyone disagrees that we have been in need of wage reform for quite some time. Employee wage increases haven’t even kept pace with inflation. The primary concern and reason for employer panic is that the mandate does not have a phased implementation period like minimum wage increases have in the past (this mandate is not a minimum wage law). That means effective December 1, 2016, every covered employer with exempt level employees below the new threshold of $47,476 will need to make significant changes in how they not only compensate their employees, but also how they manage them on a day to day basis. You can imagine the stress for employers trying to figure out how to communicate with exempt level employees who have had the flexibility to manage their work without watching the clock and will now have to deal with the headache of clocking in and out for every shift. They have also had the flexibility to work outside of those standard hours to answer that late night e-mail, check phone messages, or wrap up that last minute work that they just didn’t have the time to get done at their desk. Some may argue that this will create healthy boundaries and keep work at the office. What is uncertain about these structural changes is whether or not the expectations for deliverables will change in addition to the changes in when work gets completed. One of the reasons employers use the exempt status for so many professional roles is that there are simply too many aspects of the job that are unpredictable. They don’t know when that customer issue is going to pop up or production issues will arise or that employee is going to call out sick for their shift. When the manager was exempt from overtime (i.e. didn’t have to track every single minute of their time) they could just jump in and take care of business. Many would argue the best solution is to just increase their base salary above the new threshold. Problem solved, right? The managers are probably working hard enough to earn that money anyway. Some of the biggest challenges will come for small business owners where cash flow is a significant issue. Think about the small business owner with employees who meet the DOL duties test for exempt status and are paid as much as the small business owner can afford and still be able to stay in business. They don’t have the extra $15K to be able to keep in compliance with the new regulations and they can’t afford overtime either. In this situation, small business owners need to be thinking outside the box. They need to be able to comply with the new laws and it is most likely going to cost them more than what they are paying now. This is just one of many scenarios that a small business owner may encounter in the FLSA compliance process. Let’s say ABC Inc. employs Hannah as a salaried exempt manager. She is being paid a salary of $35,000 per year. Hannah’s job responsibilities still meet the duties test for exempt status (since those rules didn’t change). Hannah works an average of 50 hours per week, but the original salary calculation was based on a 40-hour work week. ABC Inc. can keep Hannah as an exempt employee and increase her salary by $12,476. Change Hannah’s status to salaried non-exempt and continue to pay a weekly salary, but pay overtime for any hours worked over 40. This option works great if the employee rarely works any overtime hours. The challenge for many small business owners is knowing exactly how many hours on average exempt employees historically worked per week. In this scenario, it may have benefited the employer more to simply raise the employee’s salary to the $47,476 threshold to keep the employee as exempt. Solution B will cost the employer an additional $654.16 in wages each year over the new exempt threshold but, it will financially benefit the employee. Employers should also consider the expense to track employee time in addition to other administrative costs associated with having a non-exempt employee. Solution B is most effective for situations in which the employee typically works a standard 40-hour week and rarely deviates from that schedule. Change Hannah’s status to hourly non-exempt (calculate the adjusted hourly rate, also called the Cost-Neutral Rate) and pay for hours actually worked each week. This will include requiring Hannah to maintain a timesheet record of all hours worked each week. This method works best if you have historical data on the average number of hours your exempt employee has worked each week and those hours have consistently included overtime. In this calculation method, instead of keeping the base rate whole (as in the example above), we take into account the average overtime hours worked before converting to an hourly rate. Hannah would be paid $12.24 for the first 40 hours of each week (equals $489.60), then $18.36 for hours 41 – 50 (equals $183.60) for a total paycheck of $673.20. Which is approximately the same amount she was making as a salaried exempt employee. Solution C is good if the employee consistently works overtime hours. However, if the employee does not, they might end up with fewer wages than when they were salaried. Reorganize workloads, adjust schedules or spread work hours among existing staff. You may find that based on a task analysis additional staff is required. If your existing staff is already maxed out on what they can accomplish in the given 40-hour work week, you may be forced to consider either paying the overtime or adding staff to pick up additional duties. A healthy task analysis may uncover some time eating tasks that have no benefit to organizational objects and can, therefore, be eliminated. Let’s say that ABC Inc. conducted a task analysis and found a total of 20 hours of non-beneficial tasks that can be removed from Hannah and two of her similarly situated co-workers (10 hours per employee). That leaves 10 hours of work that must be either paid for in overtime or through the addition of a part-time staff member. From our previous calculation in Solution B, Hannah would be paid $168.30 for 10 hours of overtime (I would not recommend this method with Solution C because then Hannah would be taking a forced pay cut). If a part-time employee being paid $12 per hour were added to cover the 10 hours per week shortage, that would only cost $120 per week. The annual wage cost for adding a part-time employee would be $6,240. Finding the best solution for your business takes thoughtful consideration. While these options can help begin the conversation, they are not the only options available. Solution A: Costs an additional $12,476 per year in wages. This works best when you truly need the leadership flexibility due to the nature of your business. Solution B: No Cost Change (or minimal at most). This works best when overtime is a rare occurrence. Solution C: Cost-Neutral (or minimal at most). The works best when overtime is consistent and expected. Solution D: Minimal cost savings that could be net neutral due to the added administrative costs and other employer expenses associated with adding a new employee. This can be a net neutral cost if there are a significant number of tasks being completed that are deemed non-essential. *** Please note that these equations include salary only, and are not adjusted to include other employer-related wage expenses such as taxes, insurance, benefits, etc. Please note there are many different permissible methods of salary calculation. Choose the method that works best for your company and apply that method consistently. We touched on the basics of straight wage conversion. FLSA regulations allow for up to 10% of total compensable wages (for the purpose of meeting exempt status salary threshold) to come from quarterly bonuses or other guaranteed payments. Please review the FLSA Final Rule before making any decisions regarding compensation for your employees. What actions have you been taking to get ready for the DOL regulations? Comment below and let us know!